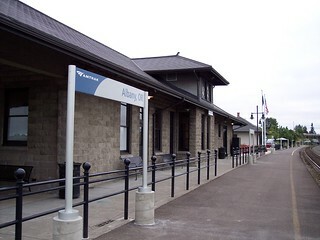 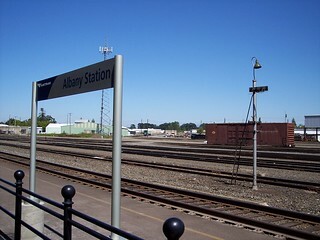 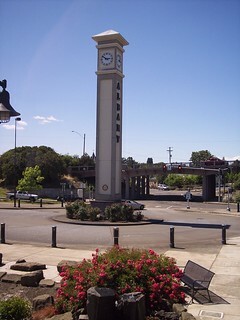 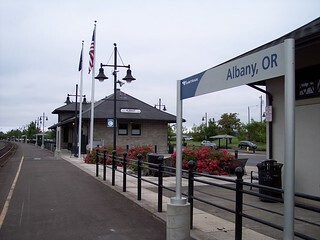 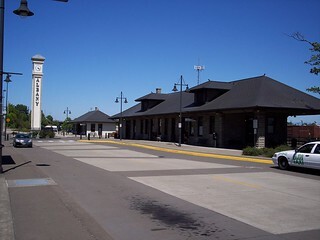 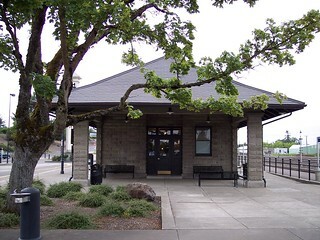 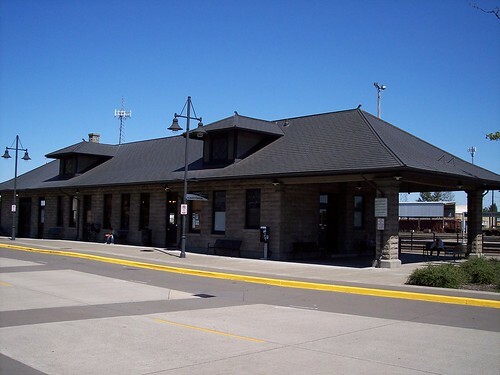 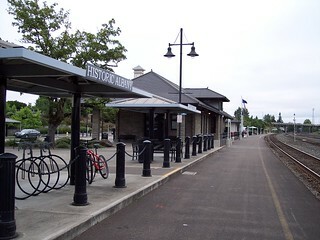 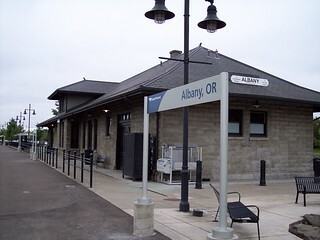 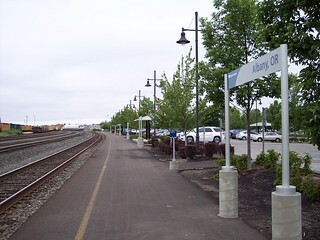 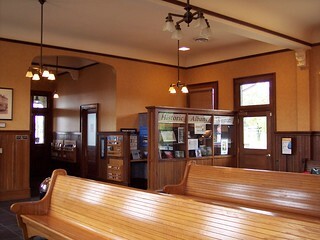 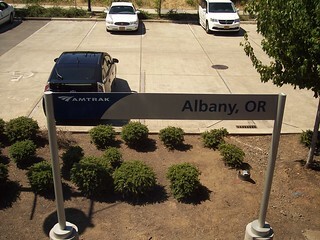 The old stone Albany station. 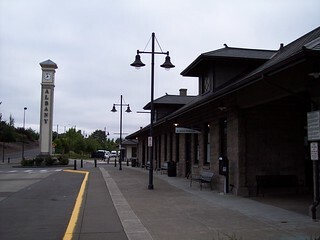 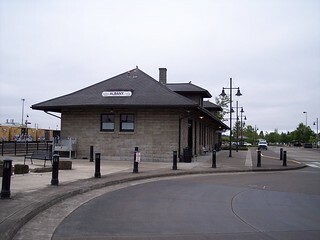 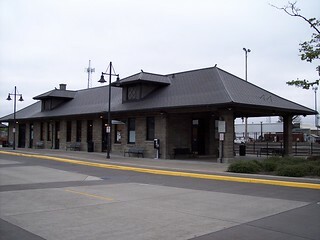 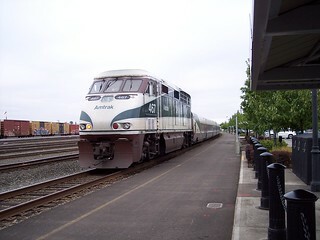 The Amtrak Cascades train we rode from Portland departs the station. 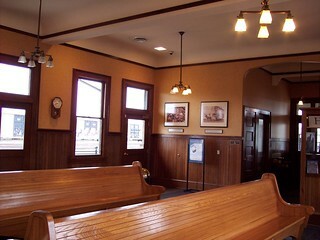 The hooks for the mail bags still stand at the station. 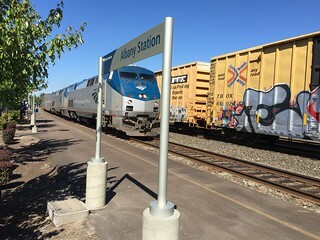 The southbound Coast Starlight arrives at the station.